Guest blogger Dan Bloom describes how he used Minecraft to reimagine one of his ninth grade biology labs, and offers four steps toward incorporating the game into any curriculum. 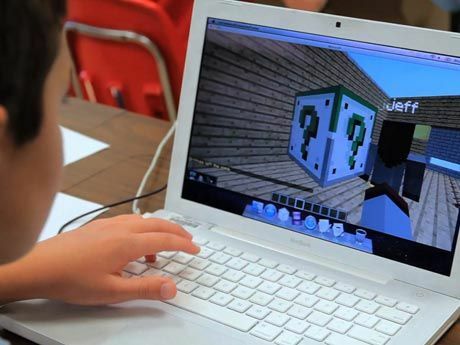 Minecraft, the popular sandbox game, is beloved by educators for its use as a learning tool. It enables students to explore, create and imagine in a completely different way than they could ever do in a traditional classroom. The beauty of the game is in the way it unleashes the creativity of both students and teachers. But for Minecraft novices like me, it's hard to know exactly where to begin unleashing all that creativity. If you're just getting started with Minecraft, it might be helpful to use the game in an activity of your own design. That way, you familiarize yourself with the powerful tools for educators available in MinecraftEdu by building a virtual world for the class to explore before you jump into to using the game as a creative tool for your students. 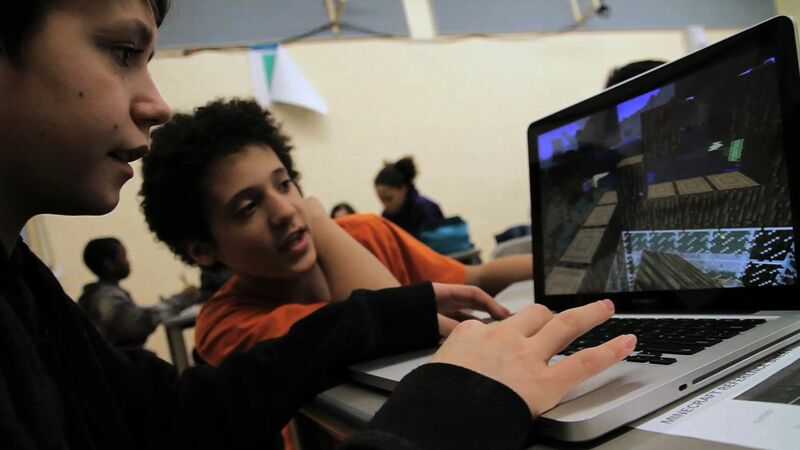 A student at Quest to Learn playing Minecraft. This semester, I used Minecraft for the first time in my ninth grade science class at Quest to Learn. I decided to incorporate the game into my curriculum to meet a specific learning goal: to aid in students' understanding of our DNA extraction lab. In this lab, students practice a step-by-step technique that involves adding certain chemicals to a mixture of cells in order to break apart the cellular components and isolate the DNA molecules. Working with a game designer from Institute of Play at my school, we created a valuable cell model in Minecraft that could mimic the real properties of a cell, and the real interactions between a cell membrane and the different chemicals used to extract DNA, which students could experiment with in the game. If you're considering using Minecraft in your classroom, here are four steps to walk you through incorporating the game into your curriculum. The reason I chose to use Minecraft as a learning tool was to aid in the students' understanding of our DNA extraction lab. When I did this lab with my students in the past, they walked away with very little understanding as to why they followed those steps and what exactly was happening at a cellular level. My vision was to create a cell model in Minecraft that students could explore and manipulate. This pre-lab activity would allow them to use different "chemical tools" to break down the various parts of the cell and, in the end, identify a list of materials needed to complete the DNA extraction lab. Though I am a novice to Minecraft, I was able to work closely with a game designer, Claudio, to help create a realistic cell model. Using the MinecraftEdu educator tools, Claudio renamed the Minecraft tools with different chemical names. He also figured out how to make some of the materials susceptible to certain chemical tools, while being impenetrable to others. Once this mechanic was ironed out, we were very quickly able to create the world of the cell. In the end, we had a single-player, immersive world in which students could explore the inside of a cell while using chemical tools to break through to the DNA. They were using their content knowledge to find the DNA, and they were figuring out which chemicals were necessary to dissolve the components of the cell. I created a student handout to serve as a guide for focusing their exploration. In addition to providing setup instructions to start that exploration, the handout included a checklist for exploring the cell, and questions for students to answer as they interacted with the different chemical tools in the cell. The purpose of the student handout was to provide them with some sort of direction as they explored, and also to point out connections between the game and our class content that they may not have noticed on their own. We added extra organelles to the model, and we even created a realistic cell membrane that mimics the lipid bilayer found in real membranes. In addition to preparing the students for the upcoming lab activity, this game also served as review for our cells unit. The questions on the handout also provided a way for me to assess students. I was able to see if they could make connections back to course content (review) while also getting a clear picture of whether they were able to meet the learning goal and identify the chemicals needed for the lab. By the end of the activity, they had a clear understanding of the changes the cell goes through during the DNA extraction lab, and when we actually completed the lab, the students felt comfortable talking about it and could successfully explain why we used each chemical. The activity was a resounding success. Engagement was at an all-time high. Students who felt weak in science class were able to approach the subject in a way that felt comfortable for them. Some students who were new to Minecraft struggled in the beginning, but quickly picked it up after a brief tutorial from a Minecraft regular. My students ask me often when we will use Minecraft again. I already have two projects in the works, both involving the use of Minecraft as a creative tool so that students are actually creating something of their own that's unique. Stay tuned to learn more about these projects! For further resources, check out the webinar series from the MacArthur Foundation's Digital Media & Learning Research Hub and Institute of Play's webinar about how we've used Minecraft at our school. Please share your own classroom adventures with Minecraft in the comments section below.